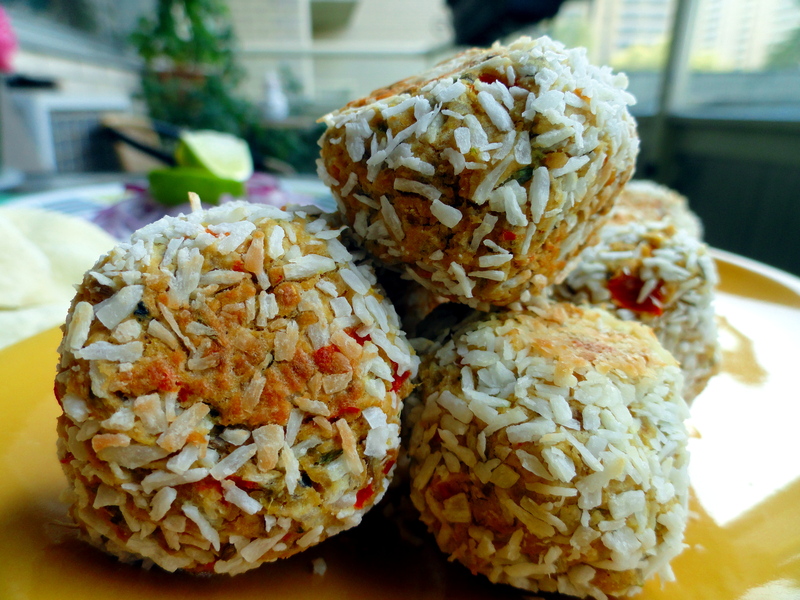 Two Cups Of Love | Gluten-free and vegan cooking. Vegan Cuts recently asked me if I would like to try their September box. I have wanted to try them out for a long time, so of course I said yes! What’s Vegan Cuts, you ask? Vegan Cuts is a monthly subscription service, most known for their monthly box full of delicious snacks, they also now have a monthly beauty box and also allow you to purchase vegan food and beauty products outside of the monthly boxes. 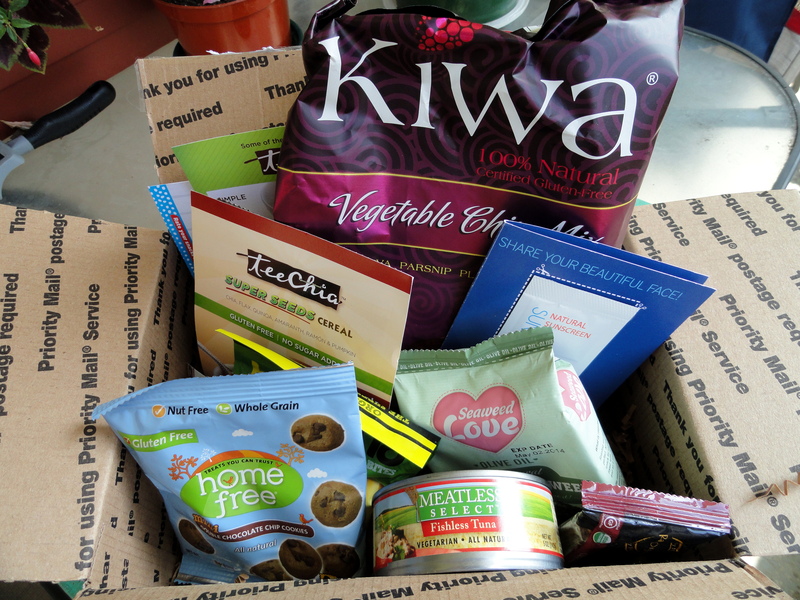 The September box was full of delicious looking snacks that I couldn’t wait to try. In addition to being entirely vegan, almost everything in the boxes are gluten-free as well. This box was entirely gluten-free from what I could see, bonus! Look at all the goodies! 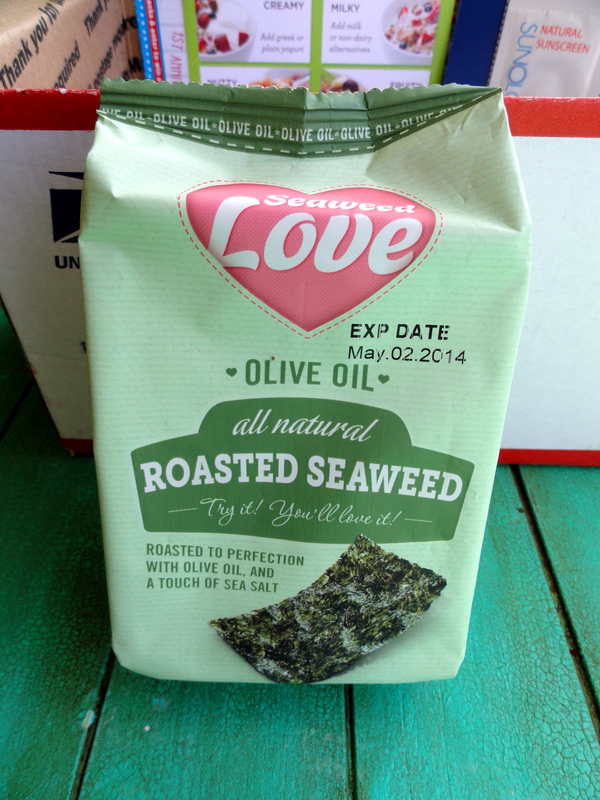 I love roasted seaweed. If you have never had it before, it is as addictive as kale chips with a salty sea flavour. The addition of olive oil made these ones taste really good. This was really good, too! It was similar to a Lara bar, with lots of dates, nuts and cranberries. Yum! 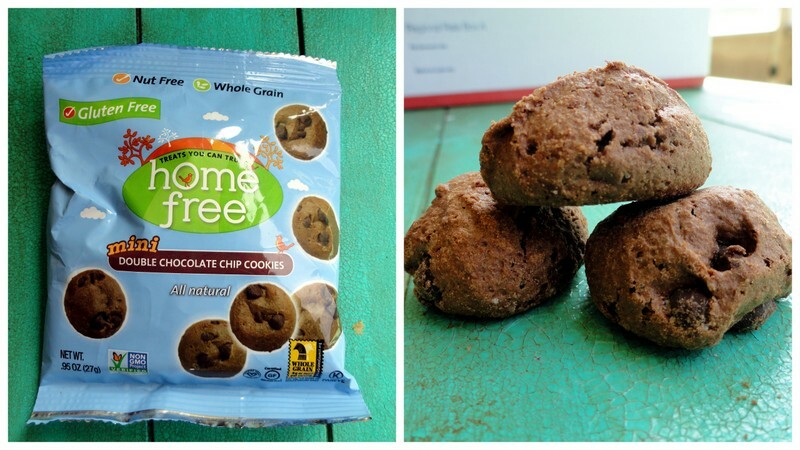 These cookies are nut free and whole grain, and gluten-free (contain oats). They were good, and I would probably buy them in the future if I was looking to satisfy a cookie craving. These were one of my favourites from the box. 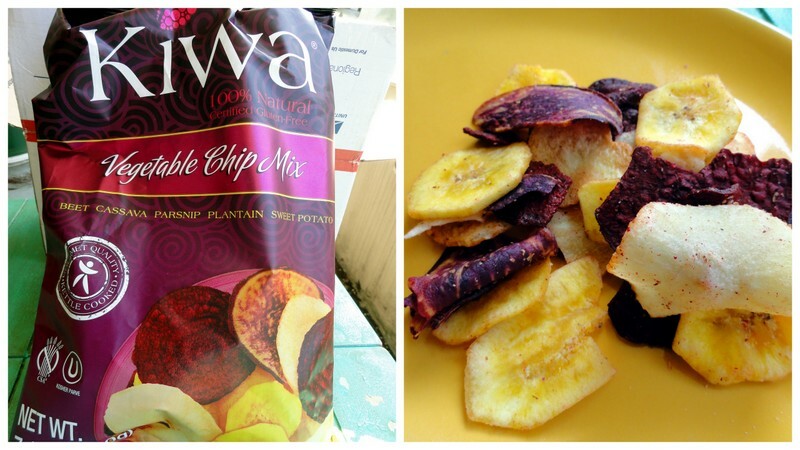 The mix contains a mix of cassava, arracacha, green bananas, beetroot, and sweet potato. I ate almost the entire bag for lunch one day (please don’t judge me!). I will be looking out for these in stores, they were delicious! These were really good. They are all raw, gluten-free, vegan and organic. Sold! 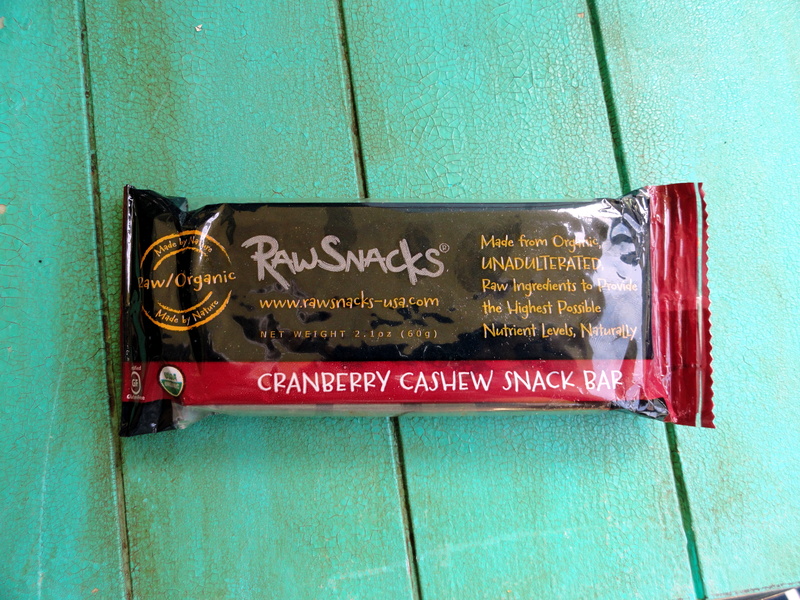 If you love raw date bars, you would probably like these as well as they have a similar texture, but a banana flavour. 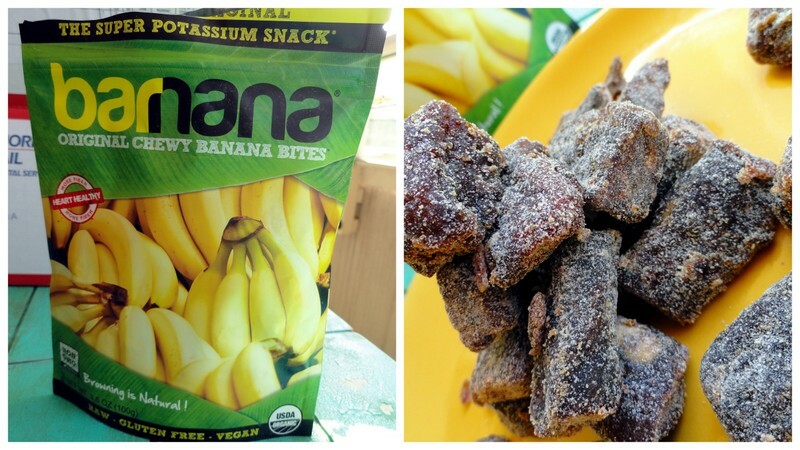 They were pretty addicting, but made with only bananas so they are a guilt-free snack! 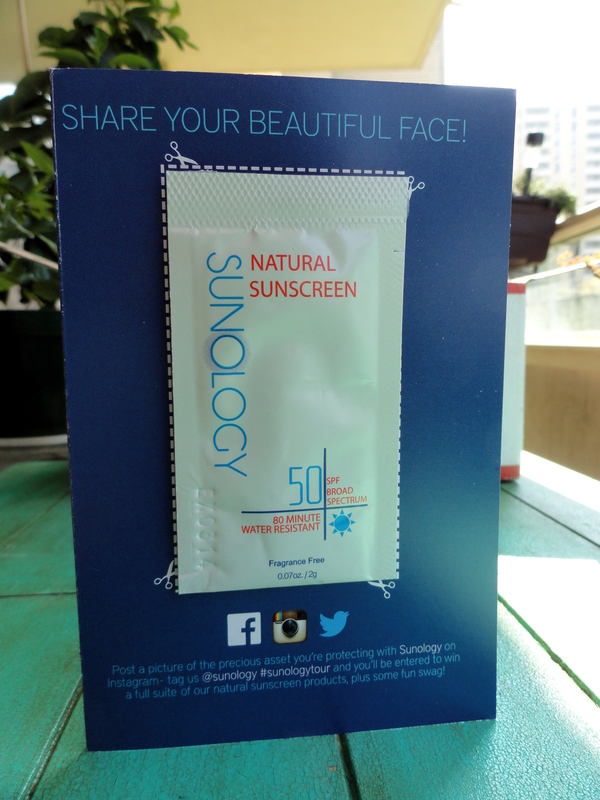 I haven’t had the chance to try this sample yet, but I have been looking for a sunscreen that is both more natural and vegan. This seems like it should fit the bill! 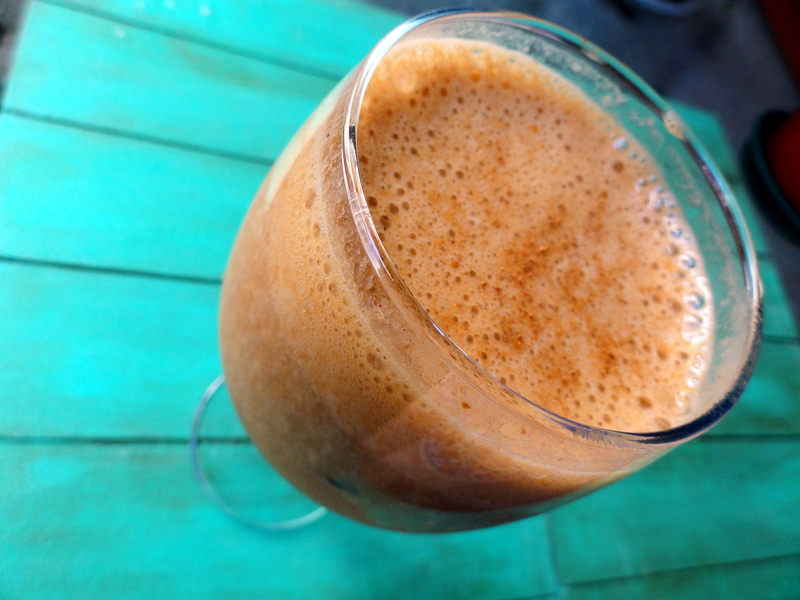 Based on Ayurveda, this is a powdered supplement for boosting immunity. It had a nice spicy kick. After I had it, I read that they suggest trying to mix it into a cup of tea to create a masala tea. I wish I had of tried that, it sounds delicious. 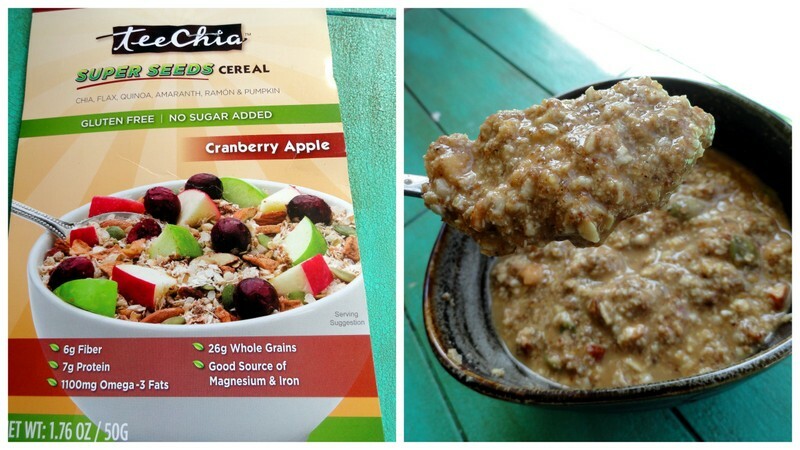 Unfortunately, I wasn’t a fan of this cereal. The directions said to add hot water, and the cereal didn’t really absorb the water so it was a bit too goopy for me. If I was to try it again, I would probably try a smaller amount of boiling water and hope for a better texture. This was my least favourite item out of the box. It is most likely a personal dislike of the product, as I stopped eating fish before I even became vegetarian. The thought of eating fish doesn’t appeal to me. When I opened the can, immediately I could smell something fishy, and I drained the product like a can of tuna. I took one bite and it tasted too real for me. That being said, if you are missing the taste of fish, maybe this is the perfect review for you! Overall I thought the vegan cuts September box was awesome! Subscribing to a box means that every month you get to try different vegan products at a great price. In addition to the snacks, you also get coupons! Who doesn’t love coupons? I haven’t seen many of the products that are part of the box in stores here in Canada, so it is a good way to try things you might not have access to otherwise. As I mentioned before, for fellow gluten-free people, most of the products are gluten-free as well. Today is the last day to get your orders in for the October box, but there’s always November! Cooler weather marks the change of season, from summer to pumpkin spice season. That’s right, it has taken over fall. I’m not willing to completely accept the cold weather, so I think that a cold spiced bevvy is a good compromise. Enter the Pumpkin Spiced Cappuccino (See what I did there? sp-iced? eh? eh?). I served mine in a wine glass, because not only do I like to feel fancy sometimes, but I also have a cat who has the cutest skill involving his paw, a table ledge and any glass he can find, which has been limiting my glassware choice lately. Behold, the pumpkin spiced cappuccino! My favourite spice mix is the “Everything Nice” spice blend by The Epicentre. I love this company, and they are based out of my hometown. They have some other good, really fresh, flavourful and fragrant spices, too. 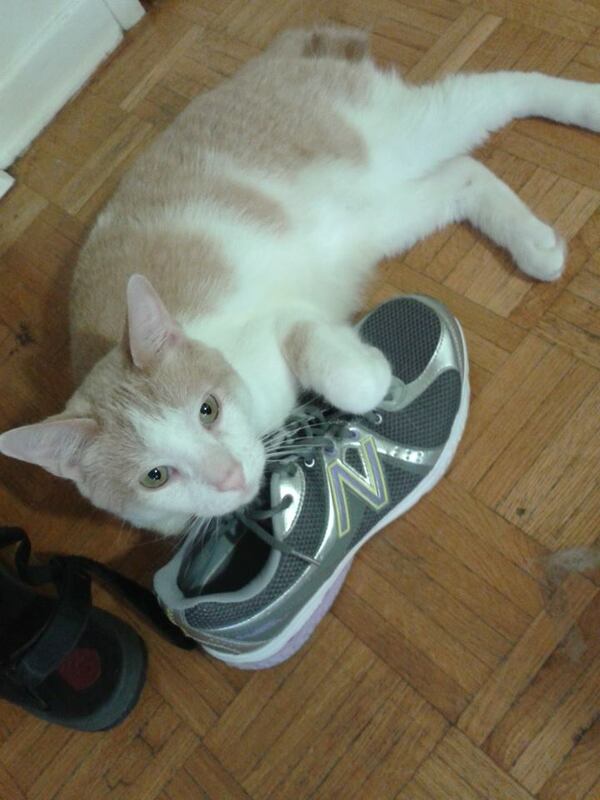 Does anyone else have a destructive cat, or is it just me? Well, I’m about halfway through VeganMoFo and have not succeeded in posting enough for the halfway point. Maybe the next half will be full of exciting posts every single day? (I don’t think so) Regardless of how I am doing, I have enjoyed discovering some new blogs. There is a section on the website listing all of the gluten-free blogs participating, and a lot of them are new to me. I was inspired to post this recipe out of procrastination. My boyfriend has been gone for a few days, so naturally, I trashed our apartment. I need to clean up, but isn’t it more fun to blog instead? I thought so. 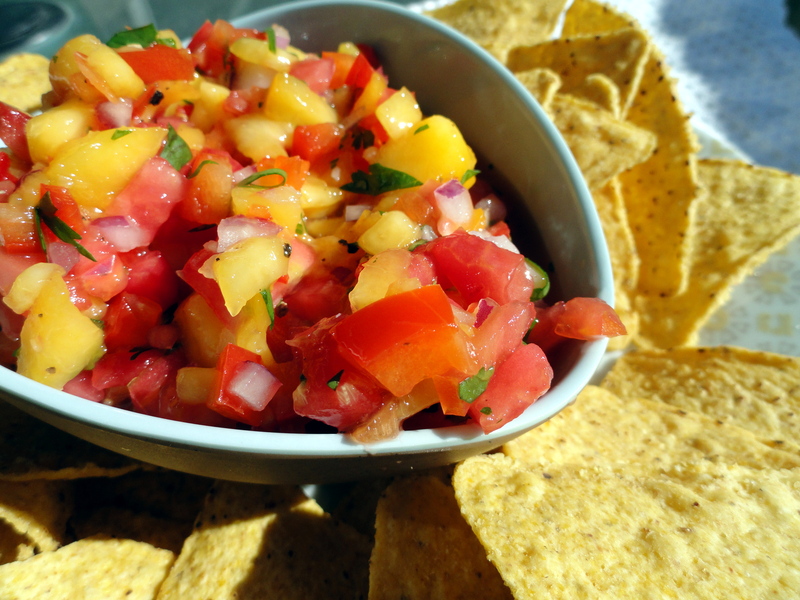 I think my recipe for peach salsa is a wonderful way to highlight in season peaches. Mix everything together and let sit for several hours. 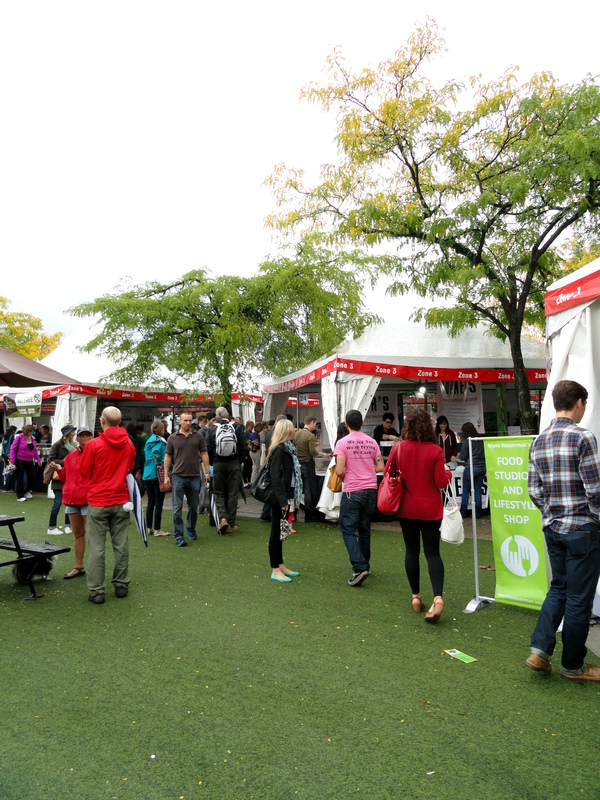 Last weekend was the 2013 edition of the Toronto Vegetarian Food Festival. This is honestly the best weekend of my year! I’ve been going for several years, mostly for the food, but also for the speakers, demonstrations and information about animal rights and advocacy groups. 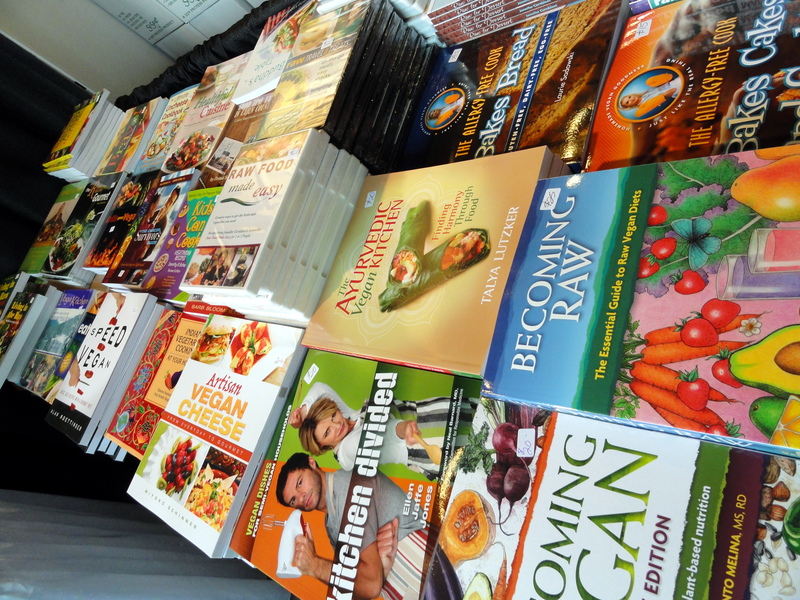 I was very impressed with the amount of gluten-free options this year. I usually avoid desserts and heavily processed food, EXCEPT for this wonderful weekend in September. I buy whatever tickles my fancy, and then go into a sugar coma post-festival. I actually bring containers so that I can buy treats and even dinner items and eat them later or freeze them. This year I was only able to make it out on Saturday, which was a very rainy and cool day. The good news is that there were very few lines. I think I would definitely aim to go back on a rainy day next year, too! I also left my cellphone somewhere during the festival, and some nice person left it at the lost and found. Thanks, stranger! Below is what I got at the festival. I’ve been feeling summery lately, trying to fit in as many barbeques as possible. A nice coleslaw provides a crisp compliment to my grillables. 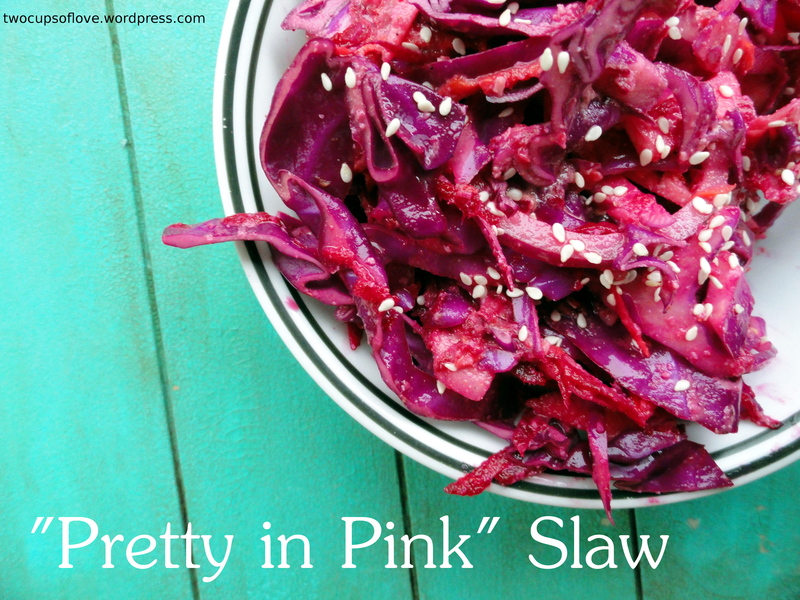 This salad gets the bright pink hue from beets! I should warn you though, that this makes a giant amount of slaw, at least a giant amount for one person. I actually ate it for three meals one day. SAVE ME! Put all of the slaw ingredients in a large bowl. 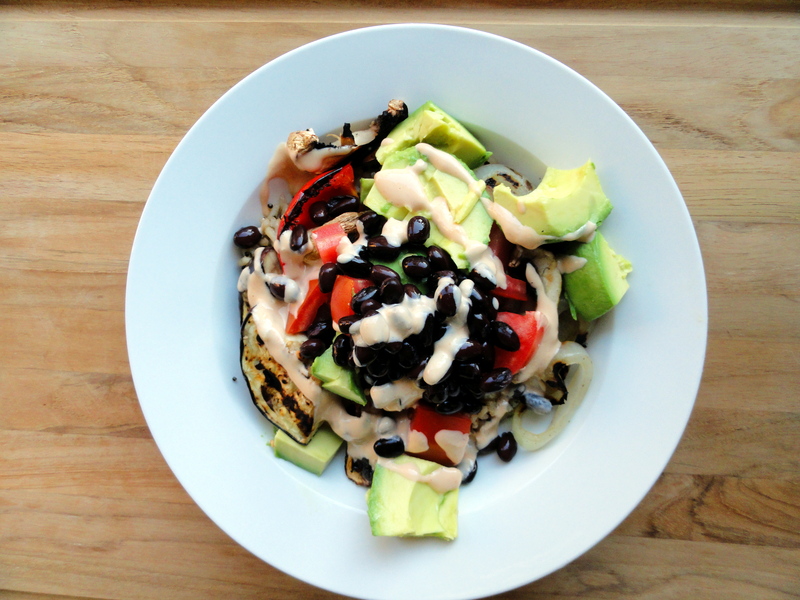 For the dressing, throw everything into the blender and blend away. My blender is not very good, so there were still bits of sunflower seeds when I was done. I put them into the slaw anyway for a little more texture. 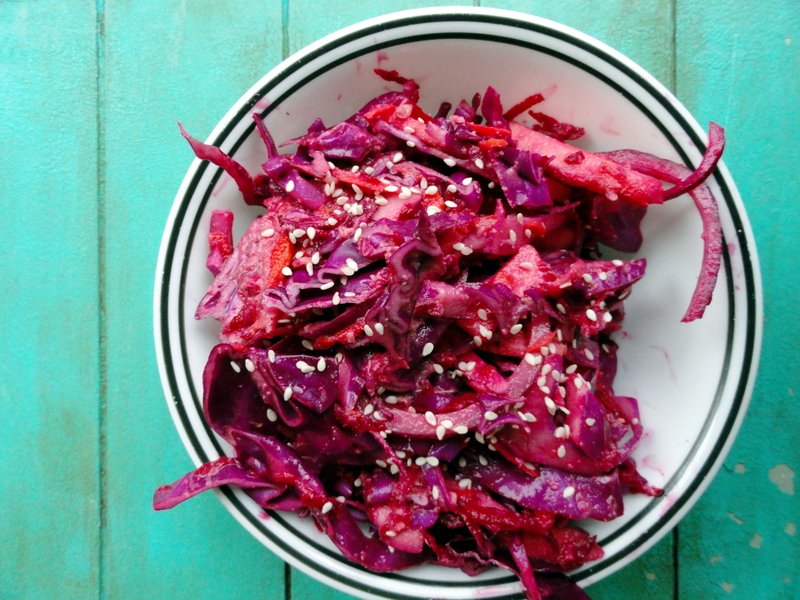 Toss the dressing with the slaw and garnish with the sesame seeds. As this only uses half of a head of cabbage, you get to decide what to do with the other half. I actually ended up making another batch of this when I was done. So, Much. Slaw. 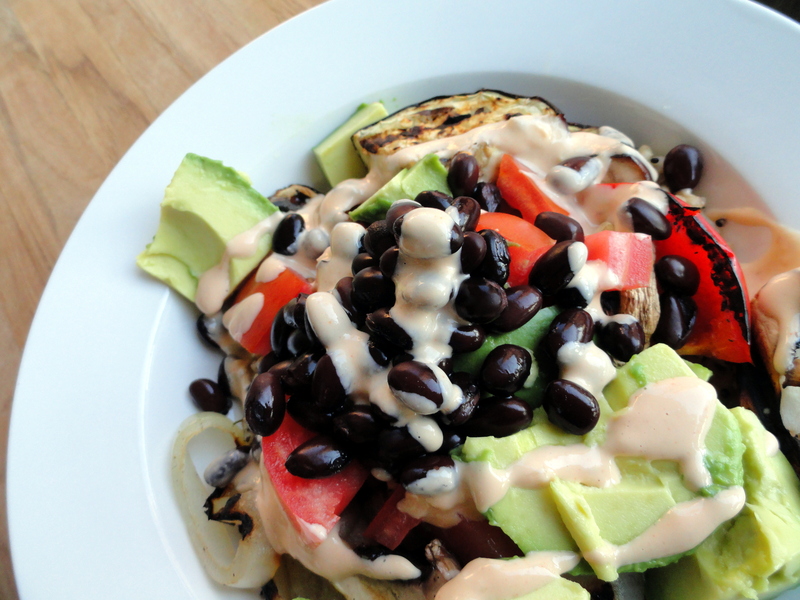 Dinner tonight was a bunch of random things I had in my kitchen: brown rice and quinoa, grilled eggplant, mushrooms, onions and peppers, tomatoes, avocado, black beans and tahini sauce (tahini+lemon juice+garlic+hot sauce+water). Although summer may be winding down, there is still time to sit outside and enjoy a glass of iced tea. 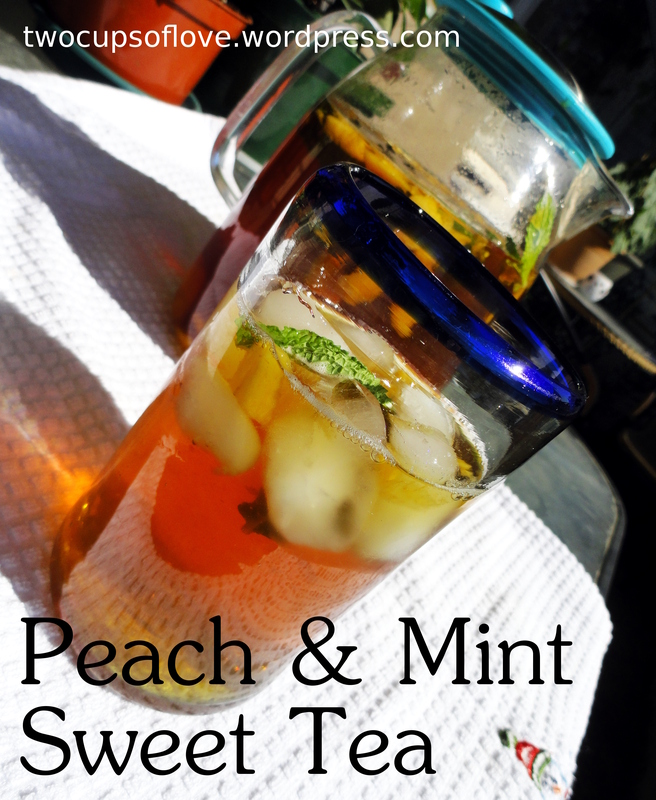 My recipe involves black tea, peaches, mint and a bit of agave nectar to sweeten it. Steep the tea according to directions in the boiling water (usually 3-5 minutes). Add cold water, peaches, mint and agave. Chill for several hours before serving. Enjoy! 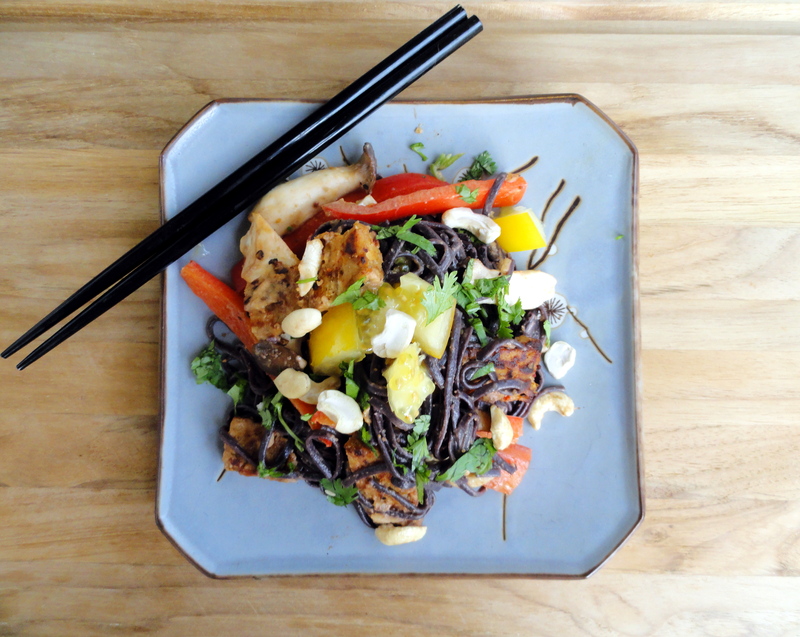 1 package of black rice soba noodles, 250 grams (I used King Soba noodles, but an equal amount of other soba or rice noodles would work), prepared according to package. Steam tempeh for 20 minutes. After steaming, slice the tempeh into strips and marinate with 1 T sesame oil, 2 T Bragg’s and 2 t Sambel Oelek. Avoid splashing the Sambel Oelek into your eyes from prying off the top seal (don’t ask how I know about that!). 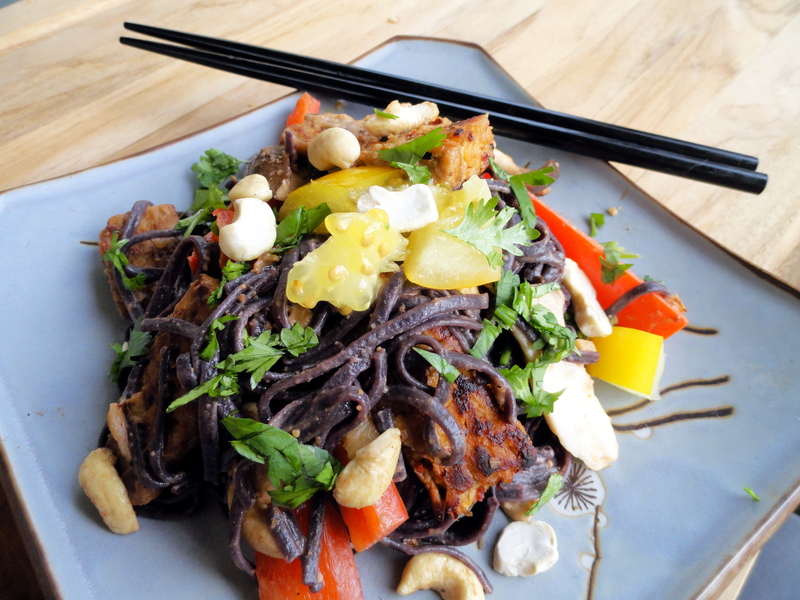 While tempeh is marinating, prepare other ingredients. 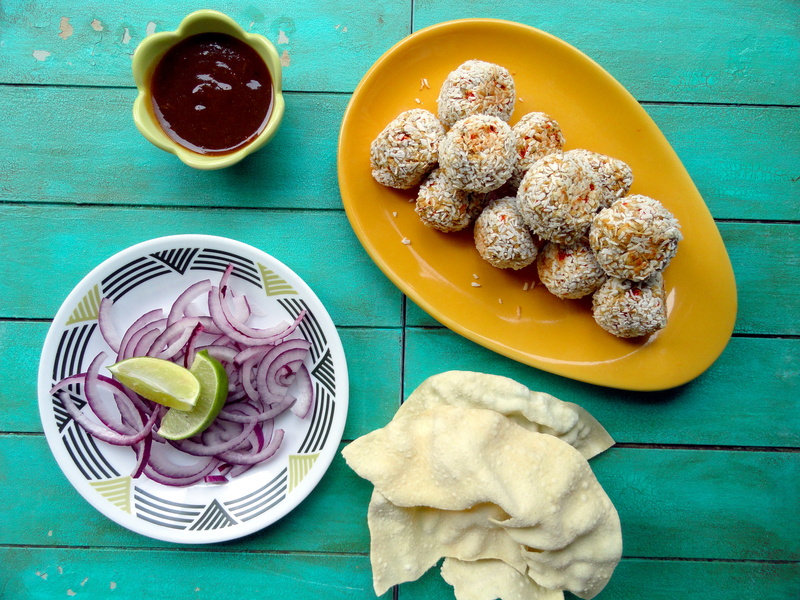 For the sauce, mix together the tamarind juice, 1 T of Bragg’s, the lime juice and the peanut butter and set aside. After 15 minutes of marinating, brown the tempeh in a pan on medium heat. Remove from pan and set aside. In same pan, cook ginger and garlic until starting to brown, then add the mushrooms, once slightly softened, add the red peppers and cook until peppers are warm (longer if you like softer peppers). Add the sauce, prepared soba noodles and more Bragg’s and/or water to taste. Mix until heated through and garnish with the cashews, tomato and cilantro. 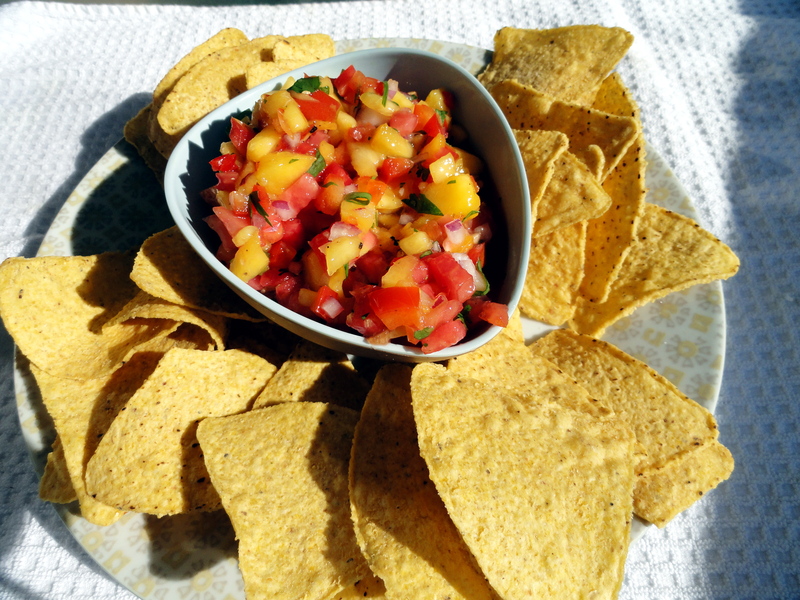 Serve with lime wedges if you have any!